The workshop was the start of a series of planned GATIS Outreach Projects. It took place 8-9 November 2014. 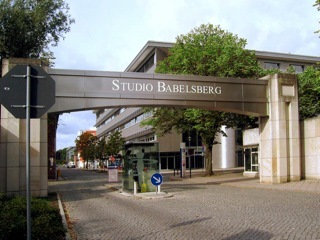 As venue for the workshop the famous Filmstudio Babelsberg in Potsdam, just outside Berlin / Germany, was chosen. 3. What is the quantum world and why do we want to develop a new approach to it? 5. What is gauge theory? On the second day a more detailed planning of future outreach projects for GATIS was started. Goal is to select at the end of January from the proposed projects key areas on the GATIS webpage for which new texts and visuals should be developed. During the workshop, the fellows worked on a few smaller texts under the guidance of science communication professionals. In addition to the work on the GATIS outreach projects, a guided tour through the studios of the Rundfunk Berlin-Brandenburg (RBB) took place.